Customize your Personalized Print by selecting a color to represent each of the four DNA bases: adenine, thymine, cytosine, and guanine. Get a Helix DNA kit so you can show off what makes you unique. Kit is only required if you haven’t already been sequenced by Helix. The heavyweight etching paper is velvety smooth, and the glicée printing process uses fade resistant inks resulting in a beautifully vivid print. Identical twins share 100% of their genetic information, meaning they can also share their Personalized Print. The illustrated booklet is a simple and fun way to learn about DNA sequencing. It also gives you insights into the information visualized in your Personalized Print. 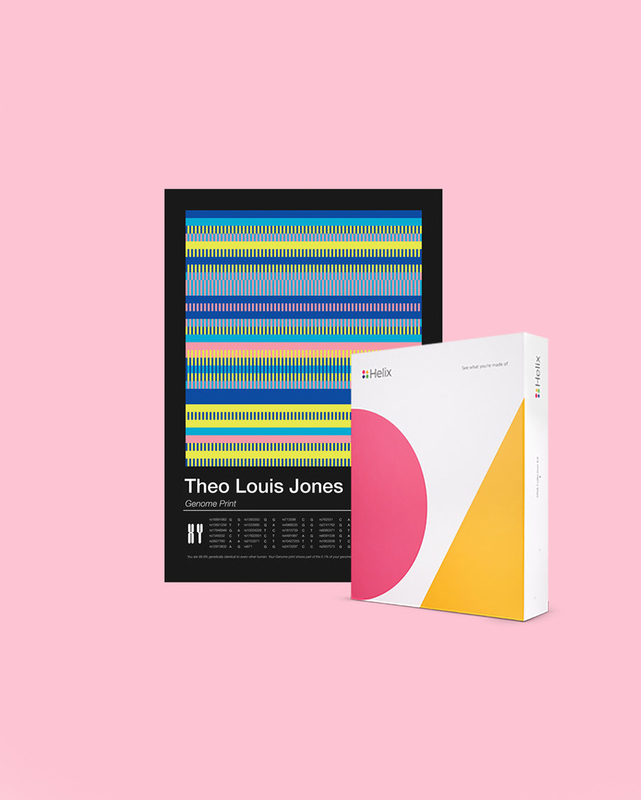 Visualize what makes you truly unique with a high-quality art print personalized entirely by your DNA. Value: A truly unique self portrait to wow your friends. The heavyweight etching paper is velvety smooth, and uses fade resistant inks. 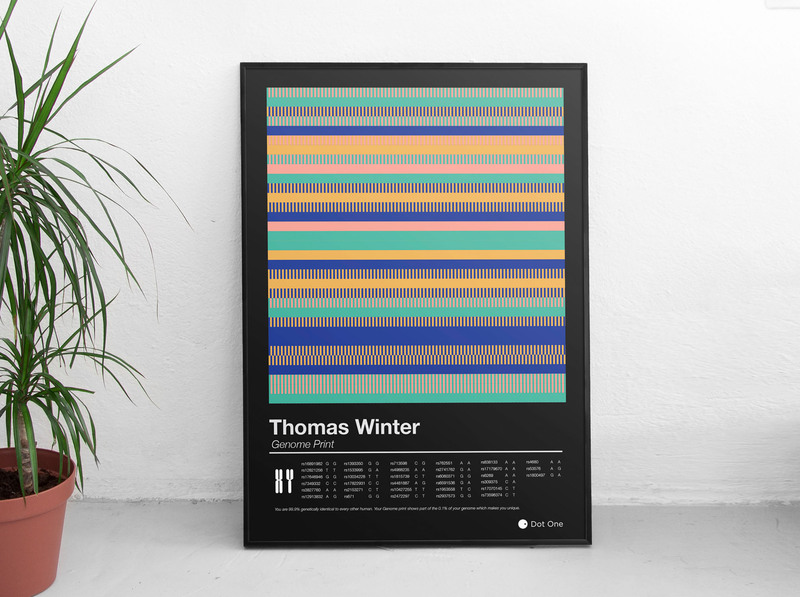 Customize your Personalized Print by selecting a color to represent each of the four DNA bases. 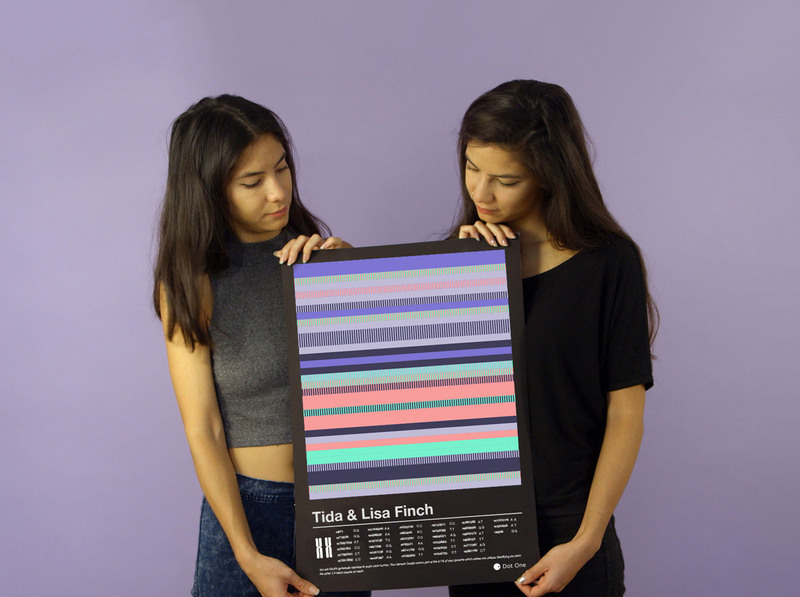 Identical twins share 100% of their DNA, meaning they can also share their Personalized Print. Learn more about the information visualized in your Personalized Print. Dot One products enable you to truly express your individuality in fun and colorful ways while also helping you explore your genetic traits, like eye color. So why do we do what we do? 99.9% of your DNA is the same as the other 7.4 billion people on Earth—but the remaining 0.1% is what makes you uniquely you. Visualize this data into your own personally designed product with Dot One. Since we’re human, we all share traits—but everyone is unique if you look in the right places. Many of the differences in our DNA do not impact things you’d notice, but they do make your genome special to you and can be used to make an artistic interpretation of your individuality. Dot One takes a sample of positions in your genome and combines those genotypes into a pattern that is unique to you. The unique pattern of your print is determined by your unique DNA. Trait info provided with your pattern includes traits with limited influence from genetics. This product will not provide any medical information. DNA results included in this product are for entertainment purposes and are not meant to be predictive, deterministic, or conclusive. Aesthetics of your print may be influenced by the use of a frame or no frame at all. The uniqueness of your DNA art print has limited impact on your skill for interior design. 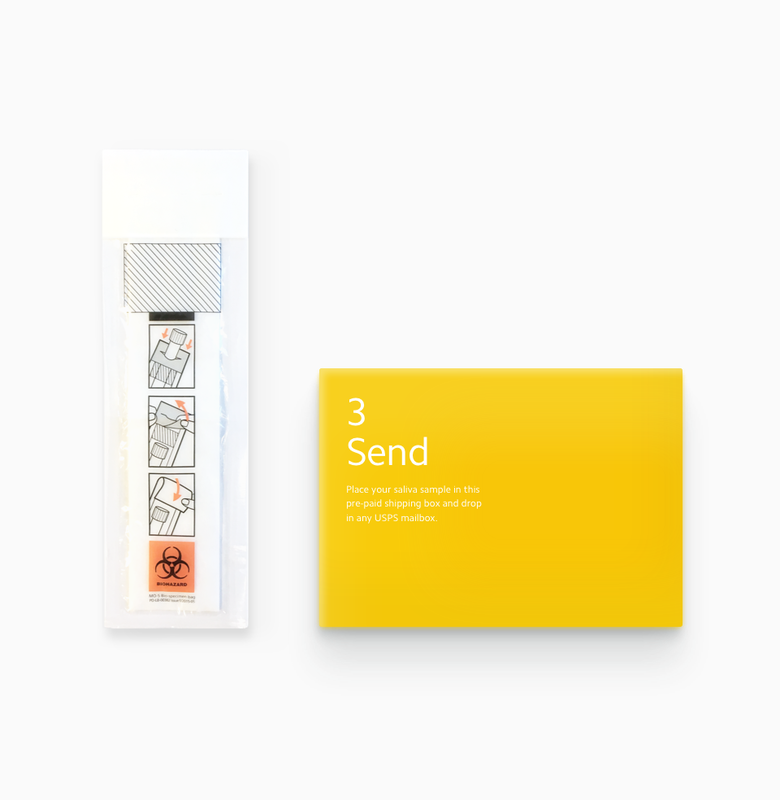 Order Personalized Print and Helix sends you a DNA collection kit, which includes everything you need to get sequenced. After Helix sequences your DNA from your saliva, Dot One will create your pattern and ship your print. 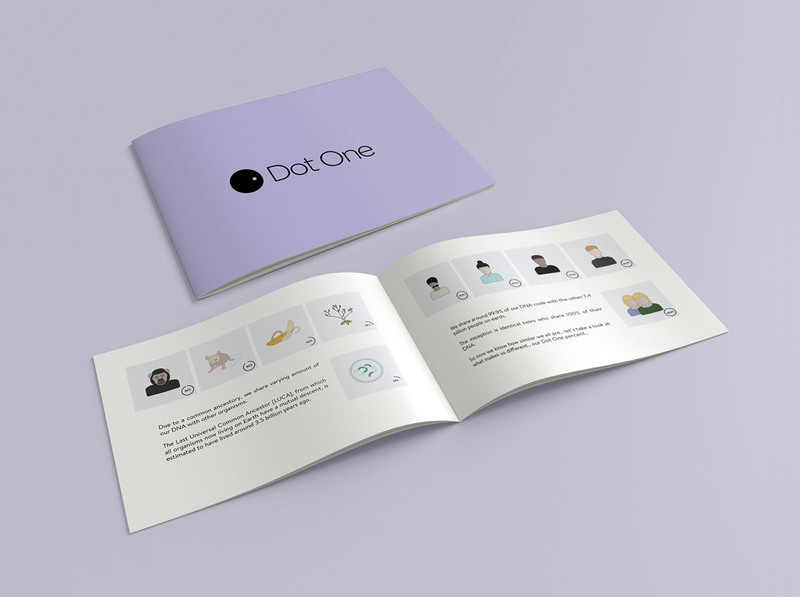 Founded in 2015, Dot One is a personalization company that uses genetic data to create unique fashion and design products. Dot One’s aim is to take DNA science out of the lab and make it accessible to everyone in a fun and visual way. Dot One has been featured in WIRED, Discover, LiveScience and broadcast on the BBC & ITV television channels. How big is the print? The print is size 300mm x 400mm (approximately 11.8″ x 15.7″). The print doesn’t come framed, but finding a frame to fit should be easy. Is there any medical information included in the product? No, the DNA results card is for entertainment purposes only. How will Dot One ship my print? Your print will be shipped via First Class International post with the Royal Mail. It usually takes 5-7 working days for your print to arrive. Do I have to get sequenced for this product? Yes. 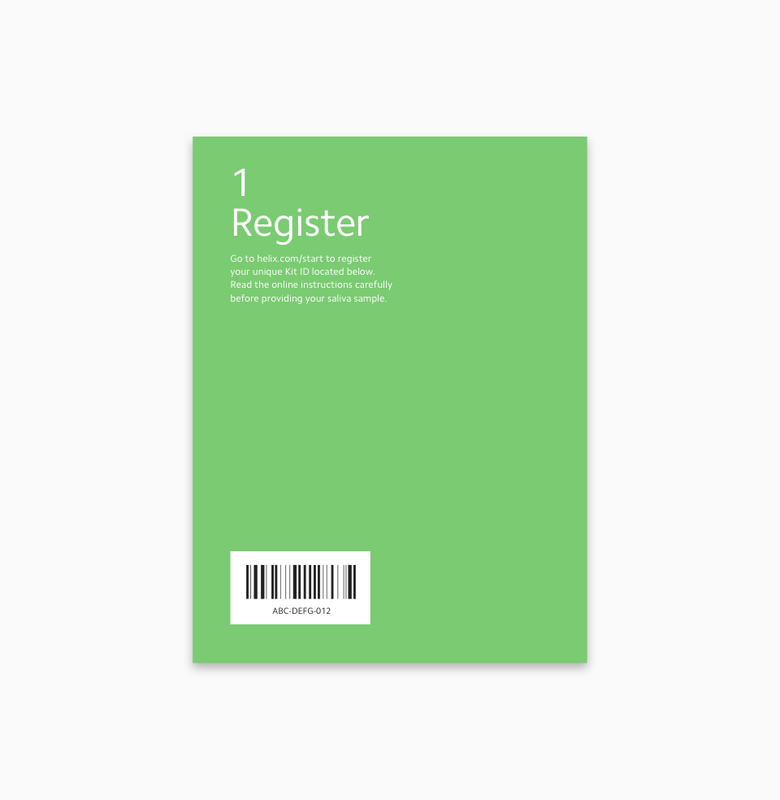 In order to purchase the Personalized Print, you must be sequenced by Helix. To ensure the quality and accuracy of the genetic information used for this service, products in the Helix marketplace do not accept genetic data from outside sources. And, once you’ve been sequenced by Helix, you can purchase more DNA-powered products from a variety of categories like fitness, nutrition, entertainment, and more—all without having to get sequenced again. How does Helix provide my DNA information to Dot One? Is my information shared with anyone else? Your DNA information is stored securely by Helix. 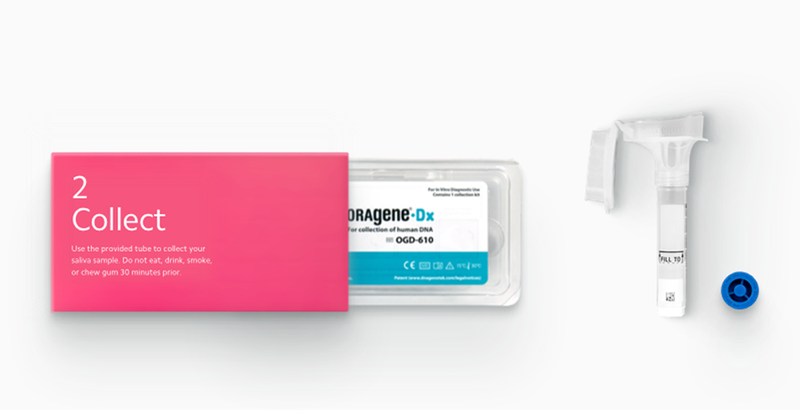 When sequencing is complete, Helix only sends the relevant DNA information needed by Dot One to generate your results. We do not share your DNA information with anyone without your permission. We always maintain high standards when it comes to the security and privacy of your DNA information. How do I learn more about how Dot One uses my information?